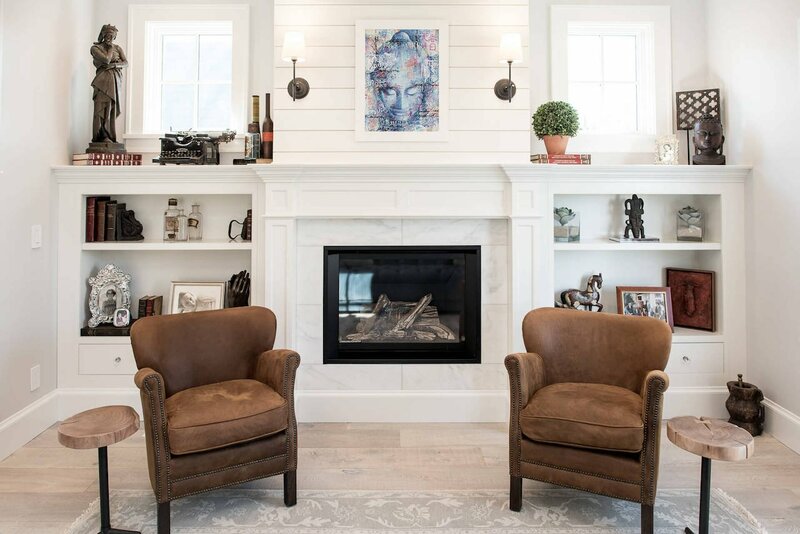 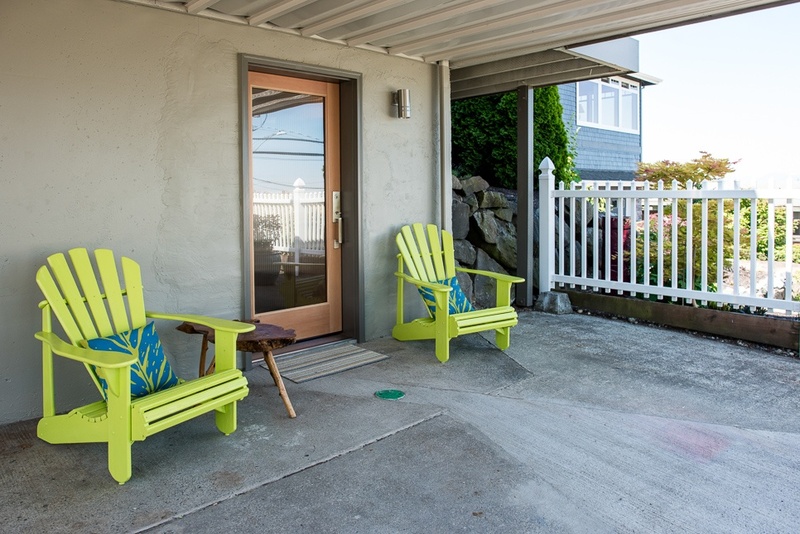 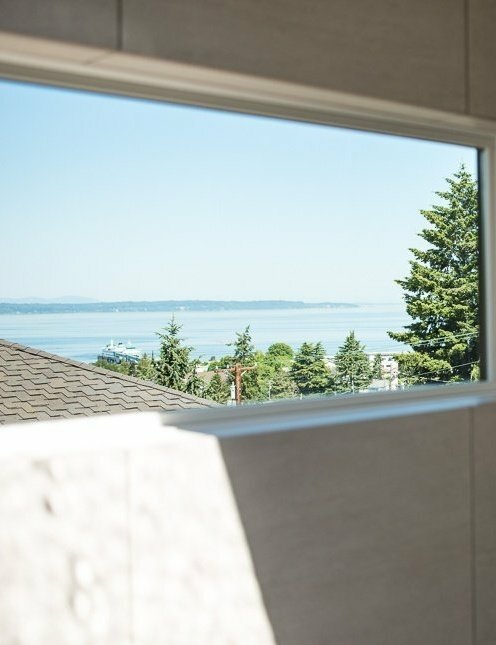 This Edmonds home had a spectacular coastal view but needed some tasteful updates to reach its full potential. 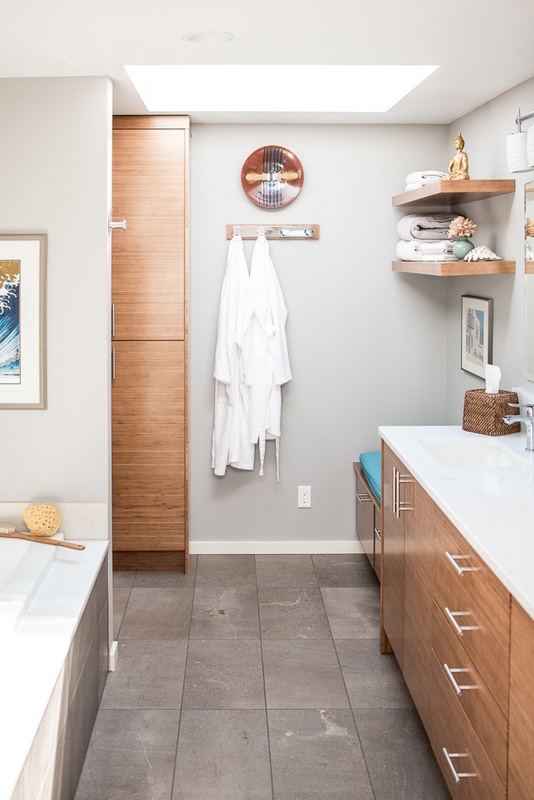 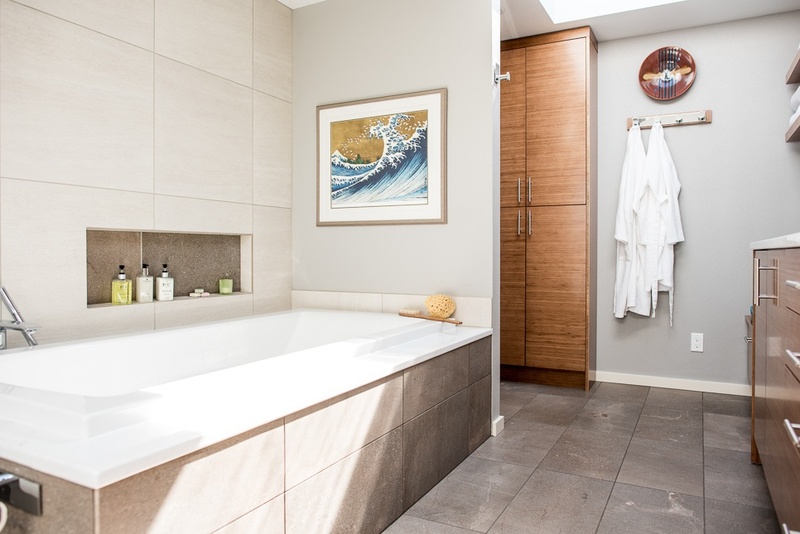 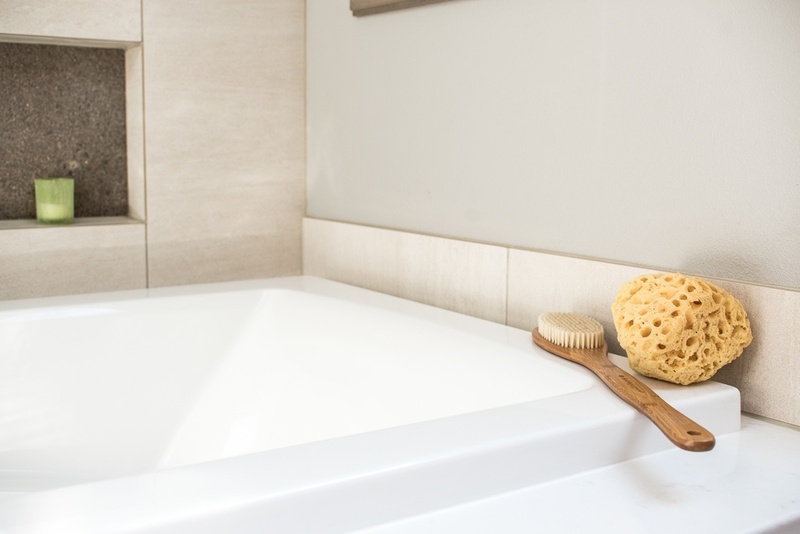 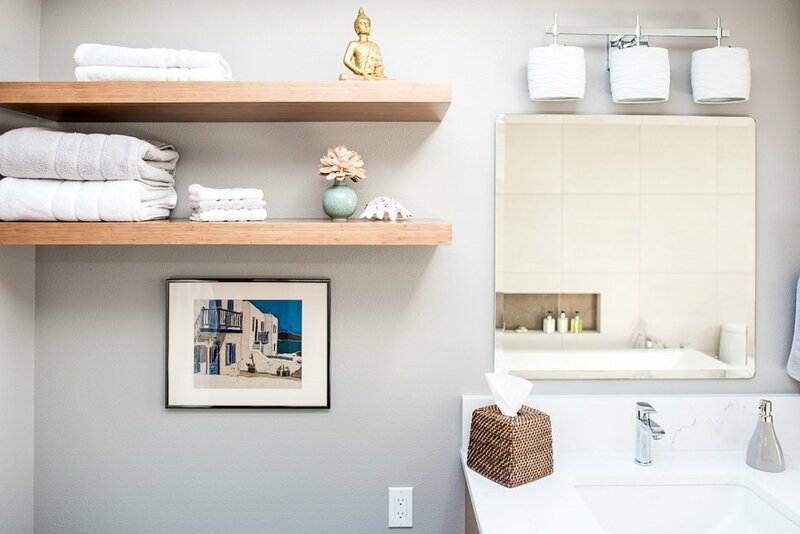 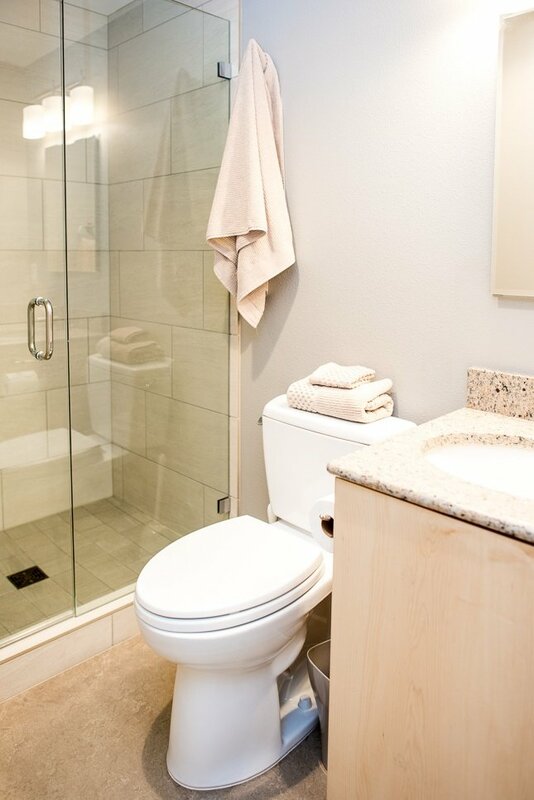 The redesigned master bath's linear bamboo cabinetry, heated towel bars, curbless shower, and expanded view of the Puget Sound create spa-like tranquility. 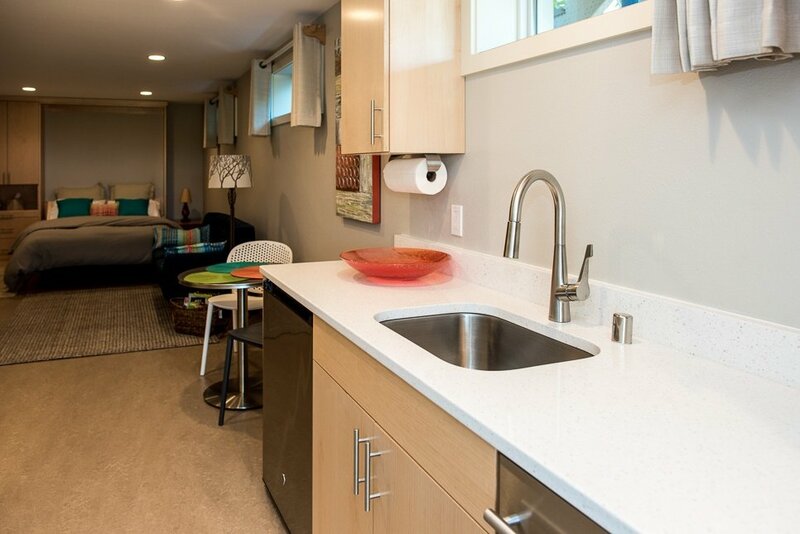 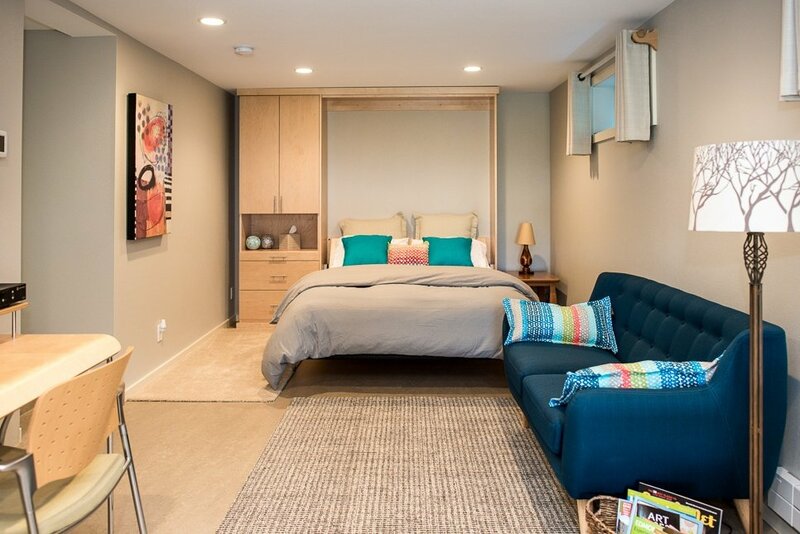 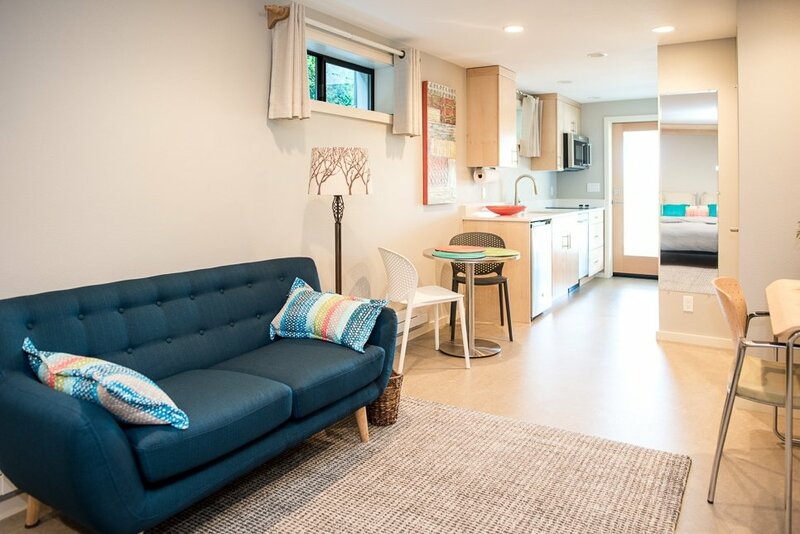 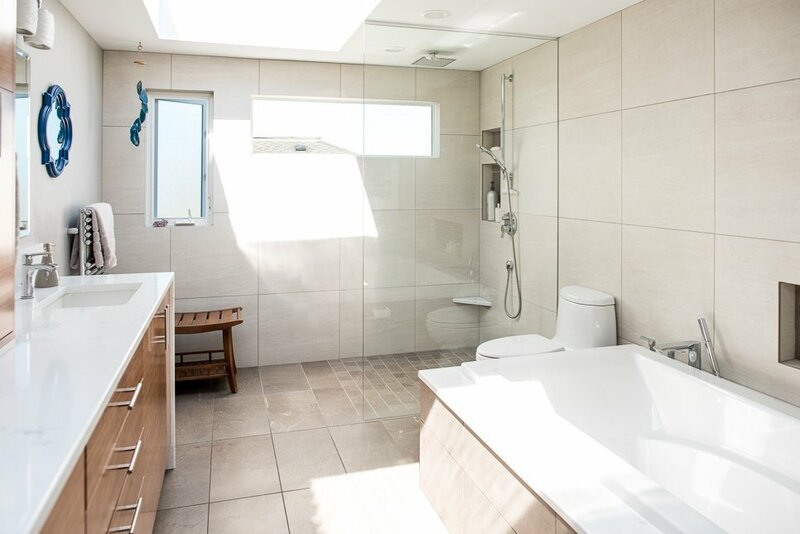 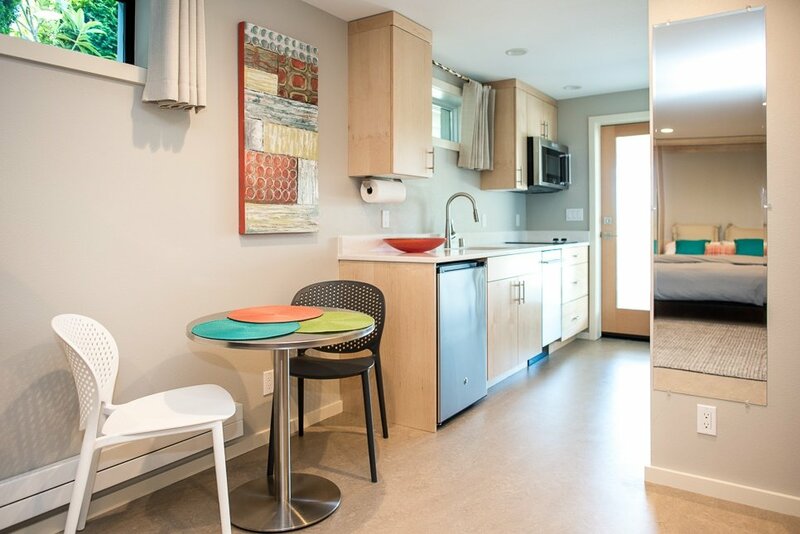 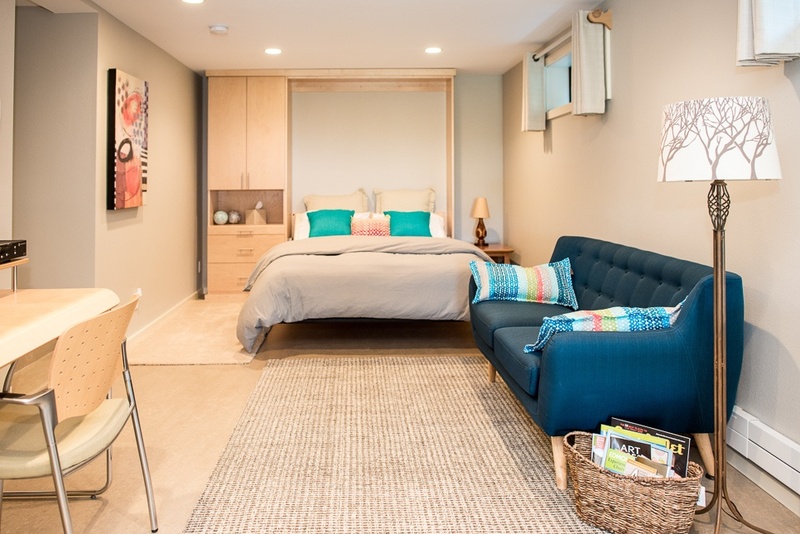 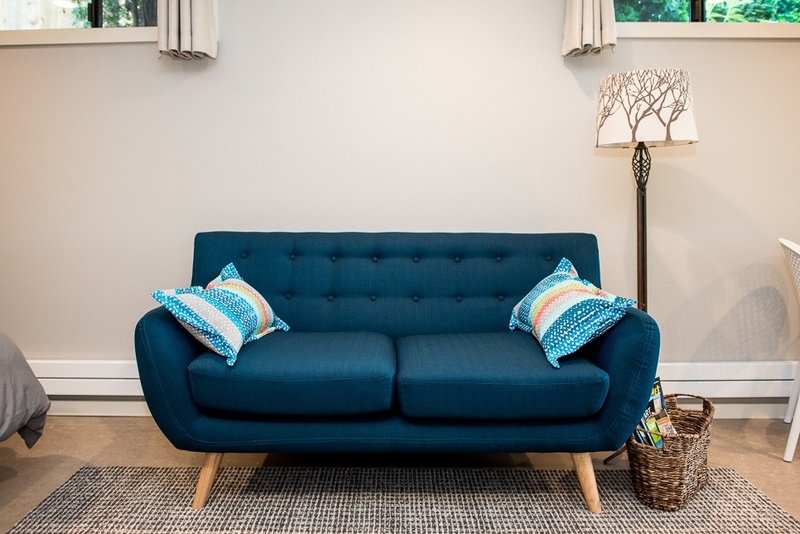 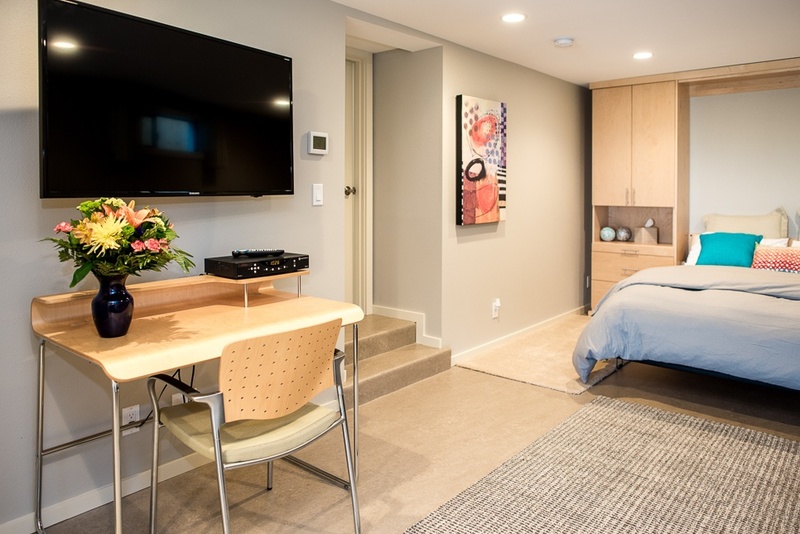 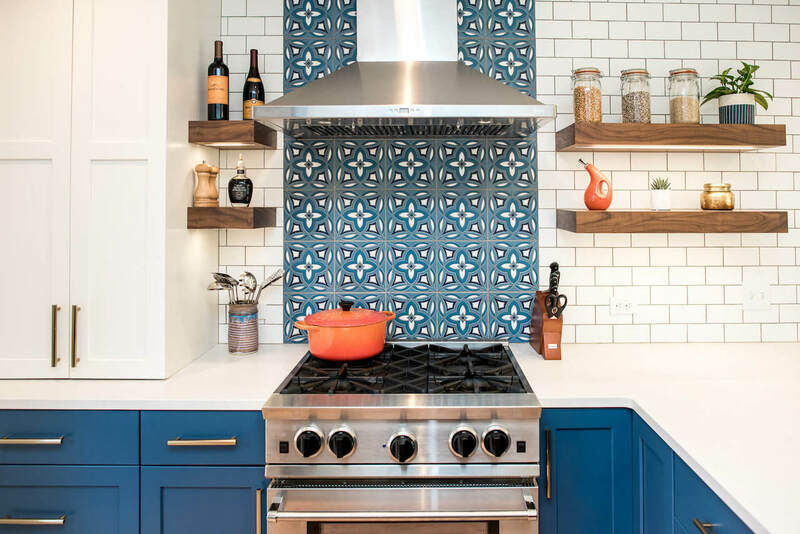 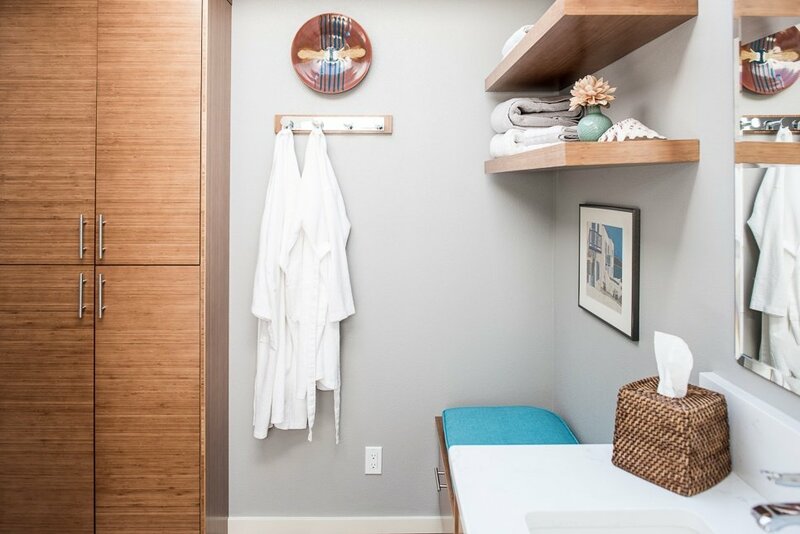 For the ultimate in flexibility, our clients transformed their basement into an accessory dwelling unit (ADU), adding a new kitchenette and guest bath. 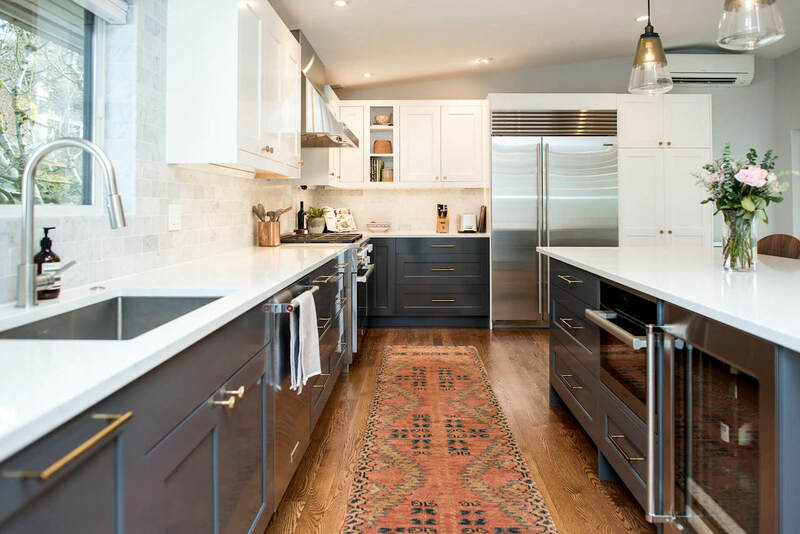 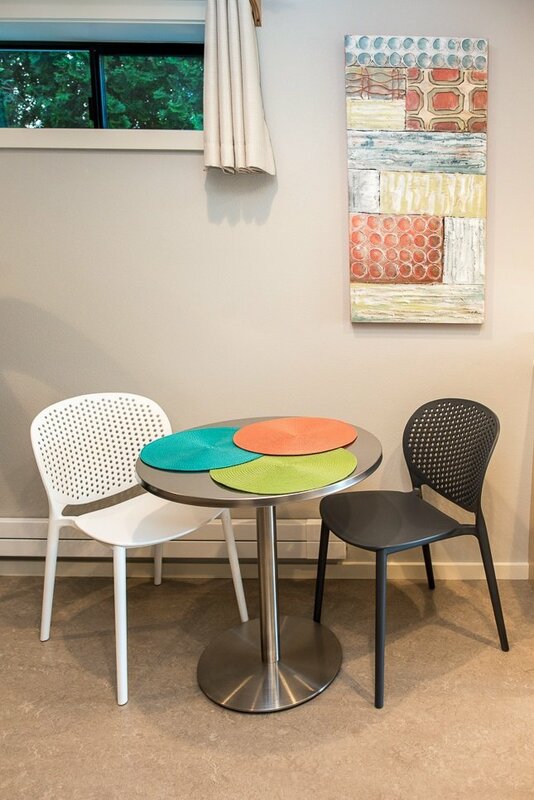 Quartz countertops, eco-friendly Marmoleum flooring, and a light and natural color palette keep the space airy and bright. 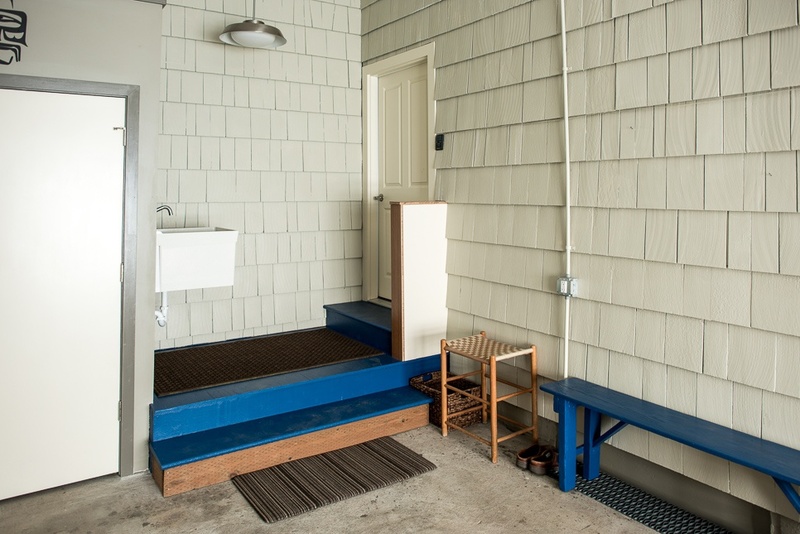 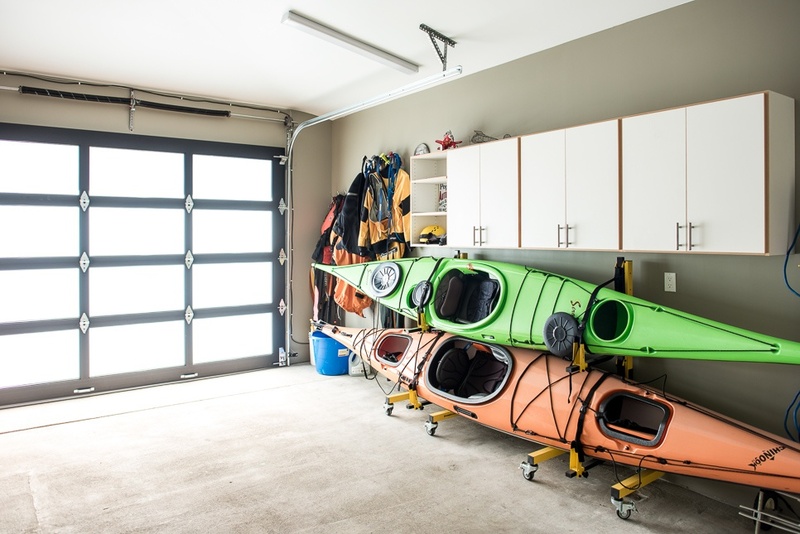 An existing concrete block carport was expanded into an enclosed garage, with storage for kayaks and gardening tools and new mudroom access to the house.